The California-based River of Words (ROW) has gained fame as an important nonprofit that trains teachers, park naturalists, grassroots groups, and others to incorporate observation-based nature exploration and the arts into young people's lives. One of the group's most important annual projects is to take the youth pulse from the United States and 22 other countries, by asking for writing on water and nature. This anthology collects the best of that writing, with accompanying artwork. Divided into nine geographical areas (California, Pacific Northwest, Inland West, Midwest, Southwest, Northwest, Mid Atlantic, South, and International), the book presents writers from ages six to 18. 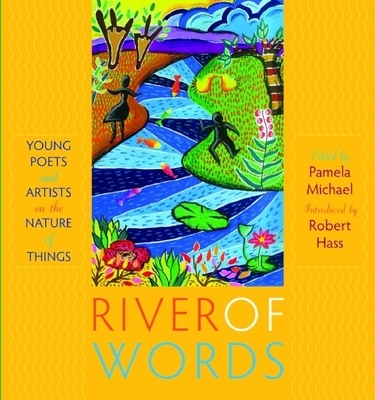 In poems such as I Love My Dog, Seasons in Our Watershed, History of a Cornfield, and Swamp Shack, "River of Words" exhibits diverse voices, as well as some bilingual poems. A remarkable confluence of K-12 curriculum, children's literature, environmentalism, and poetry, this thoughtful book, in the words of Pulitzer Prizewinning poet Gary Snyder, gives us pleasure and hope.